Let’s run your app now! Select the output device (Android, IOS, etc.). 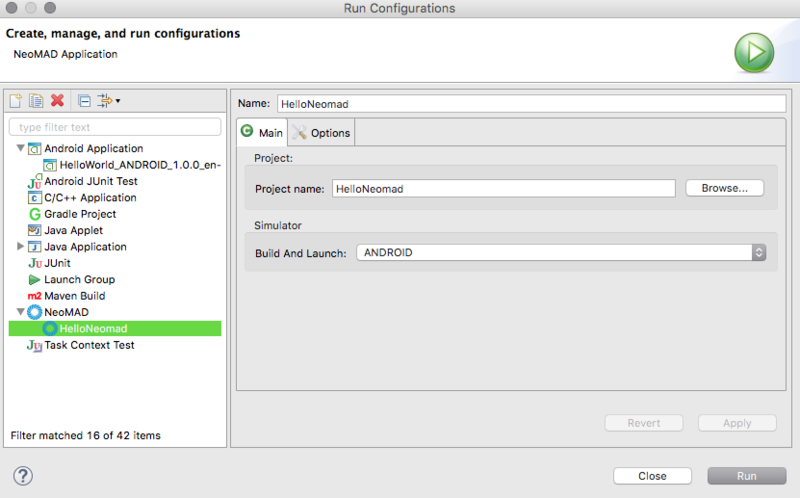 By default, NeoMAD creates a launch configuration for Android device. Plug in your device to your development machine with a USB cable. If you’re developing on Windows, you might need to install the appropriate USB driver for your device. 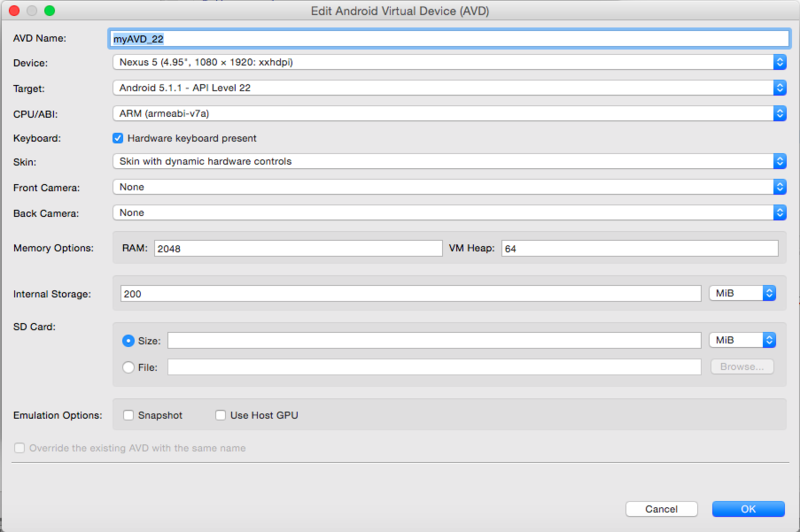 To run your app on the emulator you need to first create an Android Virtual Device (AVD). 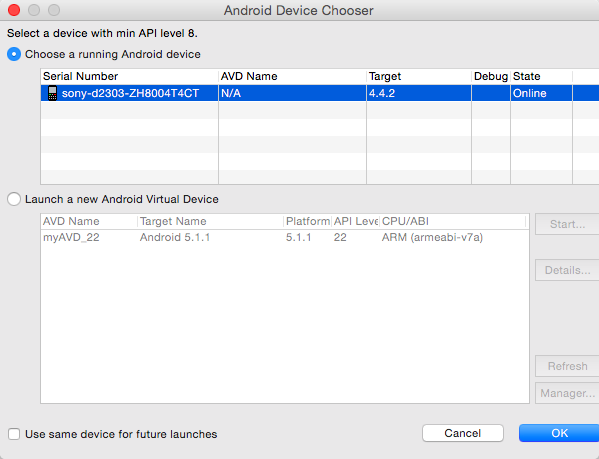 An AVD is a device configuration for the Android emulator that allows you to model a specific device. On the AVD Manager main screen, click Create Virtual Device. NeoMAD installs the app on your connected device or emulator and starts it.